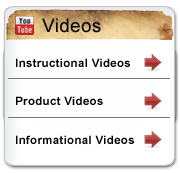 Subscribe to our e-mail list to get a special one-time use promo code. How we are building an Online Emporium. Standing behind the intuitiveness of over 30 years of experience in visual communications, BricksNMortar.com envisions a one-stop-shop for unique gifts and ideas, decorations, college graduation gift ideas and state of the art products at wholesale manufactuers pricing. Our product line is a mix of many unique ideas from solar lighting to small hand painted statues for your garden. Each product is overseen by BNM through manufacturing to ensure great quality craftsmanship. We strive to keep the tradition of a brick & mortar store's "old-school" mentality and mix it with new technologies and ideas. Opening for business late in 2014, we will continue to produce and offer new innovative products from around the globe and bring them directly to your fingertips. Be sure to sign up for our mailing list to see what we come up with next. BricksNMortar.com is always adding new and unique products that you will only find on this web-site. We plan, design and develop each product from prototype to finished product. Each item is original and stamped with our "BNM" logo. Check out the Garden Gnomes that come as flower pots or as a water feature. 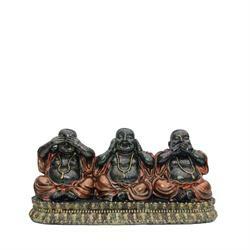 Our Buddha collection consists pf many iconic Buddha poses. Our favorite is the Buddha Elephant. All of the statues are hand crafted and painted. 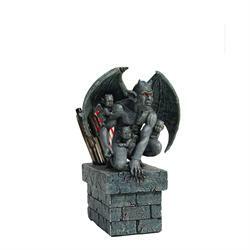 We have designed our own unique Gargoyle character in many different poses. 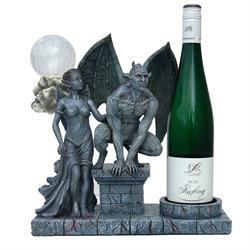 Check out the Gargoyle Wine Bottle Holder. Also introducing the "Girlgoyle" and "Gargoylettes". Our very own Graduation Owl will also be on display with a fully customizable name plate that you can create. We can do it all from Names of Schools and Universities to just "Congratulations On Your Graduation". The perfect graduation gift for your recent grad. Feel Free to shoot us an email or call with ideas and feedback. We would love to hear from you.